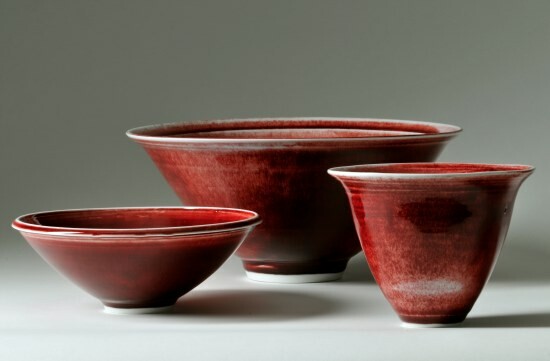 My work is inspired by classical Chinese pieces, finished in rich copper red and celadon glazes reconstructed from traditional Chinese recipes. Some of the pieces have handles and other embellishments made in Sterling Silver, a softer metal contrasting with the hard porcelain. I love the alchemy of reduction firing in my gas kiln - the transmutation of dull minerals into exciting deep colours and surfaces that have to be touched. My studio is at my home in Sawbridgeworth in Hertfordshire, and visitors are always welcome by prior arrangement.